Wolverhampton Wanderers Football Club /?w?lv?r?hæmpt?n/ (About this soundlisten), commonly known as Wolves, is a professional football club in Wolverhampton, West Midlands, England. Formed as St Luke's F.C. in 1877, they have played at Molineux Stadium since 1889 and compete in the Premier League, the top tier of English football, after winning the 2017–18 EFL Championship. 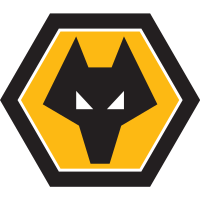 Wolves were one of the founding members of the Football League in 1888. The club spent 33 years in the top flight from 1932 to 1965, their longest continuous period at that level. In the 1950s, they were League champions three times (1953–54, 1957–58 and 1958–59), under the management of Stan Cullis. Wolves also finished League runners-up on five occasions, most recently in 1959–60.